Creamy, sweet, gooey goodness isn't that hard to make. With a little patience and 4 ingredients you can have homemade dulce de leche! I think I may be slightly obsessed! 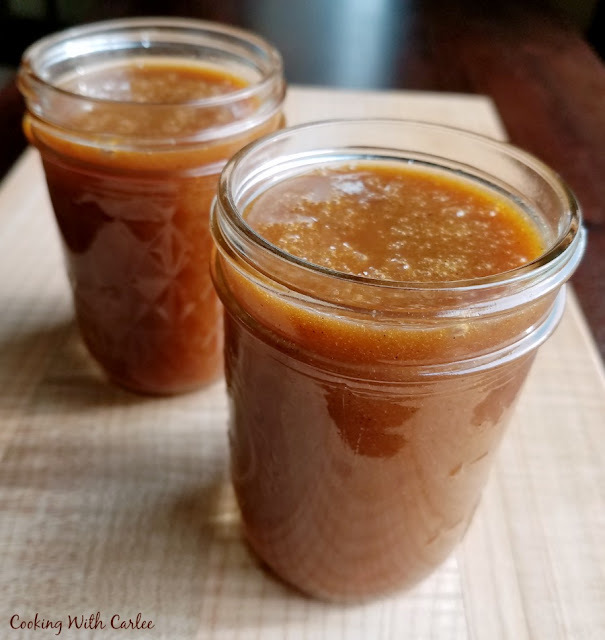 After making a few batches of homemade cajeta and telling you how similar it is to dulce de leche, it occurred to me that I've never actually made dulce de leche. I know, it was a wrong that needed to be fixed immediately! Now there are a few ways to go about doing such a thing. One involves cooking a can of sweetened condensed milk. Now that would certainly be easy enough, but if you come here often you know I am much more likely to adapt than run to the store for an ingredient and I don't always stock sweetened condensed milk in the pantry. So I decided to make some using ingredients I do always have. The process is the exact same as the cajeta. So it is not hard, but does take a bit of time and patience. The biggest thing to worry about is ensuring your pan is big enough. It will grow and foam before it concentrates and reduces, so make sure to use a bigger pan than you think you'll need. Other than some stirring along the way, it basically makes itself. In one batch I used a quarter teaspoon of baking soda and in the next batch I used a half teaspoon. While both batches tasted similar with that sweet, rich, creamy flavor and texture you'd expect, there was a quite noticeable difference in color. Just that little change in pH really affected the look of the end product. Isn't that interesting? 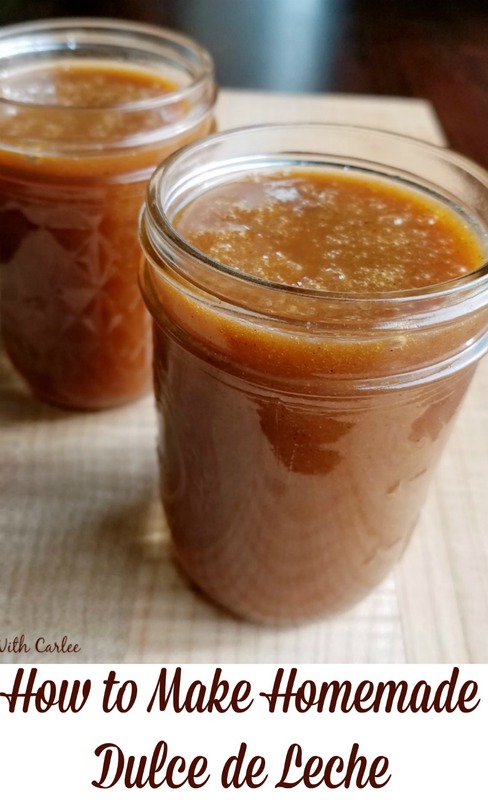 So next time you want some dulce de leche, don't be afraid to make it yourself! It's fun and a bit of a kitchen science experiment! n a small dish, dissolve the baking soda in a couple Tablespoons of the milk and set aside. In a very large pot (the mixture will bubble and foam, so you need a pot at least twice the size you think. I used a 6 qt dutch oven.) Stir together the remaining milk and sugar. Add the vanilla bean if using. Over medium heat, bring the mixture to a low boil, stirring frequently. Turn off heat and stir in the dissolved baking soda mixture. Be careful, this is one of those bubbling like crazy moments! Return to medium heat and cook, stirring frequently, until the mixture is golden and thick like honey. This will take about 45 minutes to an hour. You don't need to stand over it the whole time, but you'll want to keep an eye on it as it will bubble and you don't want it sticking to the bottom of the pan. Remove from heat and remove vanilla bean if you used it. If not, stir in vanilla extract and let cool. Store in airtight container in the refrigerator for up to a couple of weeks. It will tighten up in the cold, but can be made pourable again with a short stint in the microwave. That's the way it is with these things. You find out you can make them with things you always have around and suddenly they go from hard to find to I could make it right now! I'm glad I'm not the only one who geeks out over the science of food :). I'd totally make extra batches just to see exactly how the baking soda works! Food blogging really is rough sometimes isn't it? Have a great weekend, Carlee! 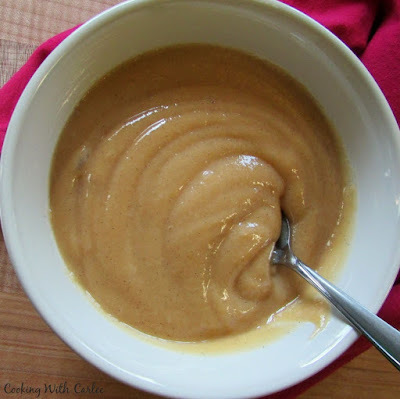 A great recipe for the Homemade Dulce de Leche! Thanks so much for sharing with us at Full Plate Thursday, have a great weekend and come back soon! Next rainy day, I need to try this!! It is really satisfying to make your own for some reason! 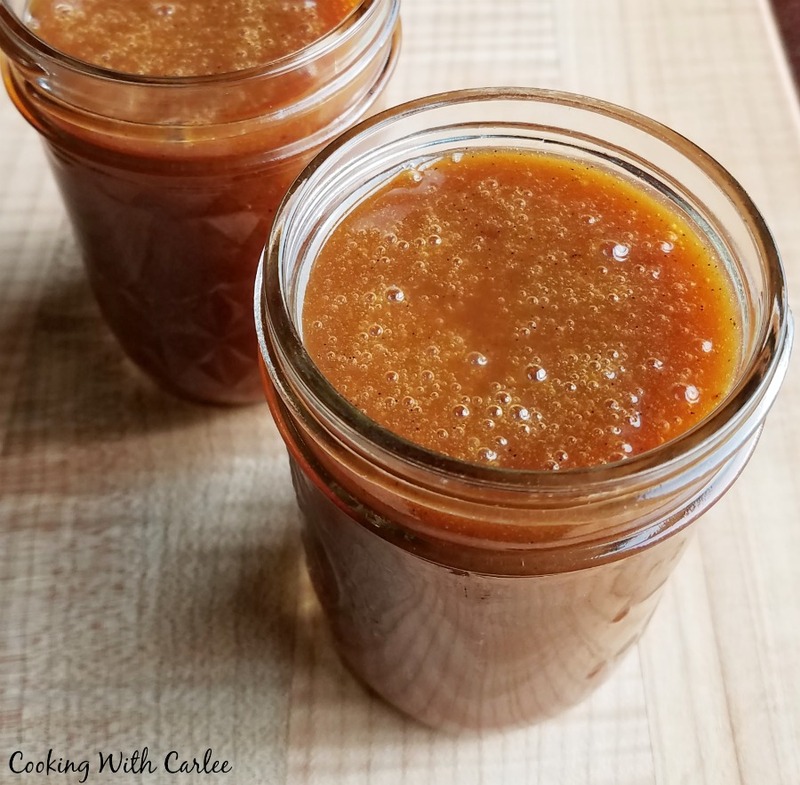 Good for you Carlee; I've only ever made dulce de leche completely from scratch once...what a great way to make a beautiful, wholesome (and no additive) dulce!